This is Monty Roberts’s long-awaited sequel to The Man Who Listens to Horses. 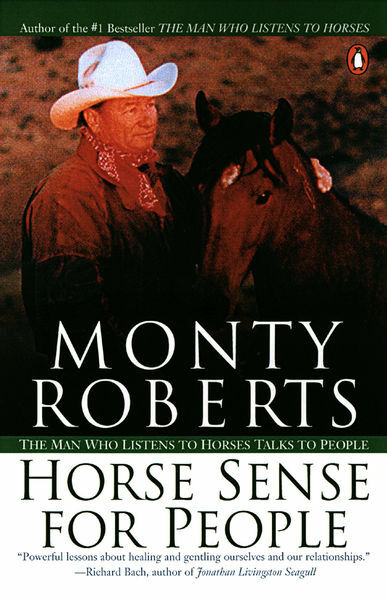 In this fascinating book, Monty Roberts shows us how to use the “Join-Up” technique-his amazing method for persuading a wild horse to accept a saddle, bridle, and rider-as the model for how best to strengthen human relationships. Full of memorable encounters with horses and humans, Horse Sense for People has at its core a belief in the power of gentleness, positive action, nonviolence, and trust. Roberts provides thought-provoking guidelines for improving the quality of our communication with one another, for learning to “read” each other effectively, and for creating fear-free environments. With demonstrations of the Join-Up technique selling out arenas all over the world, Monty Roberts continues to inspire enthusiasts and convert skeptics. Sure to draw many new readers, Horse Sense for People is the book Monty Roberts’s fans-be they horse enthusiasts, business managers, or book lovers-have been waiting for.